Mom and I made a summer holiday table topper this year; we made great use of it during our Memorial Day celebration. There were ten of us who picnicked, including my nephews who are ten and fourteen years of age. We enjoyed barbequed pork shoulder, potato salad, fresh corn and black bean salsa. 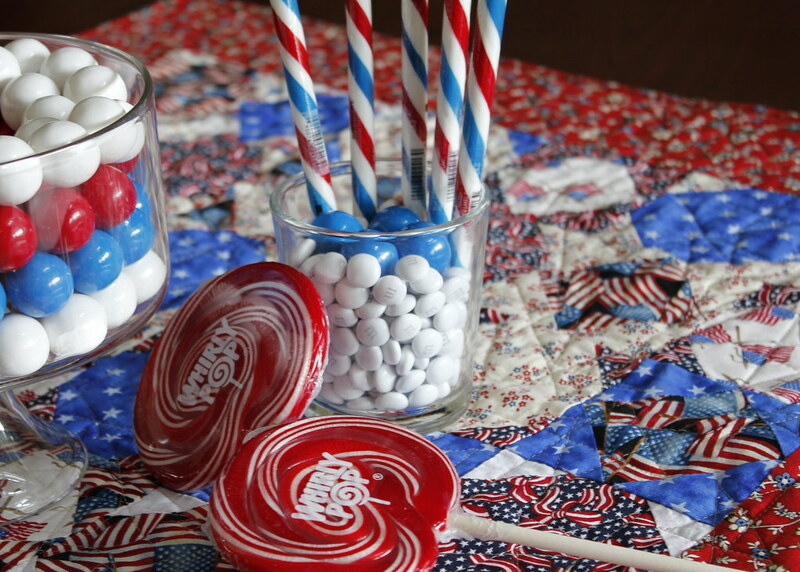 We all ate our fair share of patriotic candy as well! 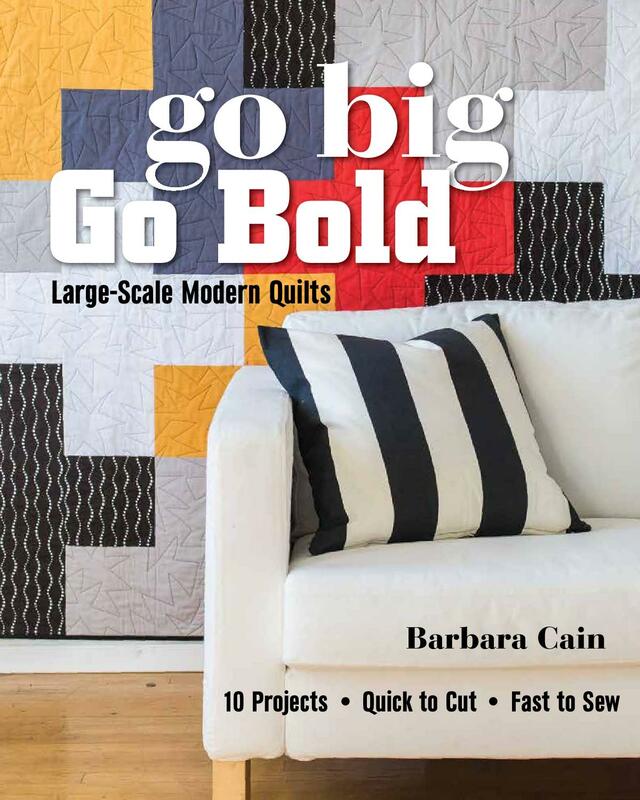 Mom no longer machine pieces her quilt tops. Her eyesight has become somewhat compromised and she prefers the control and accuracy that hand piecing provides. I marvel at how quickly she completes her hand work and also at how calm she remains when I am machine quilting her tops. Her faith in me was no exception with this project, surprising, since I was experimenting with a new pattern. This was the first time that I quilted using a star motif; I think that I could have used a little more practice however, mom was quite pleased with the results. 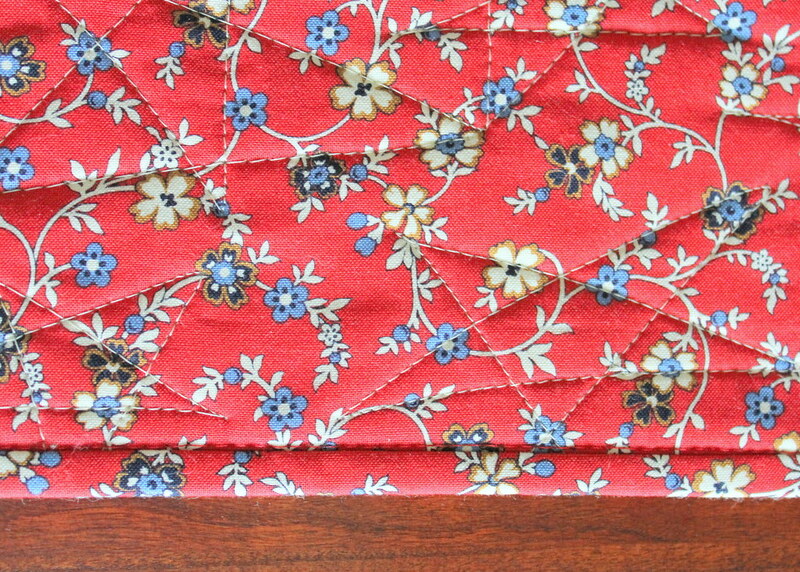 I love this border fabric. On its own, it is not necessarily patriotic looking but it manages to play quite nicely with the other selections. I'm sure we'll be seeing this quilt again during the upcoming Independence Day and Labor Day holidays. You two make a great team! I love the table topper - it makes it a party, and now you're all set for summertime. Love the matching candy! What a great idea! 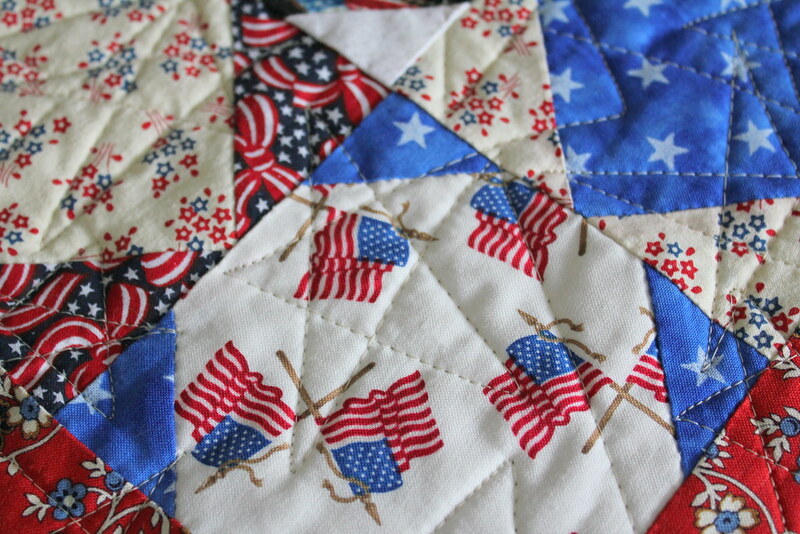 I love the quilted stars! So festive. This table topper is so beautiful! A perfect blending of the traditional with the modern ! I love Memorial Day celebration, there are much stuff that you can do. I like your holiday table topper, you and your mom did a good job!